The Cairns® 1044 traditional fire helmet has the rough, durable matte finish desired by many firefighters. The perfect combination of durability and performance in a lightweight, high performance design. Traditional style with high-tech performance. 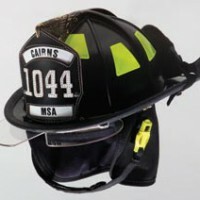 The Cairns® 1010 traditional fire helmet offers a tough, through color, DuraGlas® fiberglass and high-temp composite resists cracking and chipping. Traditional style with high-tech performance. The Cairns® New Yorker™ and Cairns® Houston™ are handcrafted leather helmet. Each New Yorker and Houston™ helmet is individually crafted, shaped, stitched, and trimmed by hand, and still includes a durable leather shell designed to last for years with minimum maintenance. Leather forever! 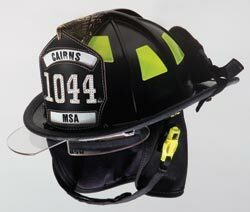 Cairns® New Yorker™ N5A: The New Yorker meets current OSHA requirements and the demands of today’s firefighters. 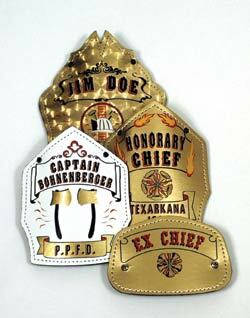 Retains and evolves the high quality and appearance that generations of firefighters have trusted and depended on since 1836. Cairns® Houston™ N6A: Compliant to NFPA 1971, 2007 Edition for structural fire fighting. 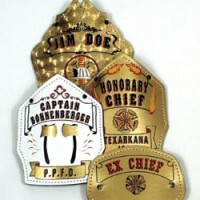 Retains and evolves the high quality and appearance that generations of firefighters have trusted and depended on since 1836. All the latest Cairns Helmet Lines and Accessories! 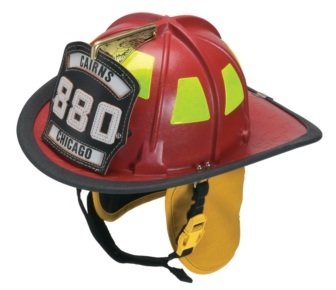 Cairns® 880 Traditional Fire Helmet: A low-ride helmet design creates a low-profile for superior clearance and maneuverability. Cairns® 660C Metro™ Fire Helmet: Offering unparalleled performance, this modern fire helmet is tough enough for structural, light enough for wildlands, and small enough for EMS and confined space applications. 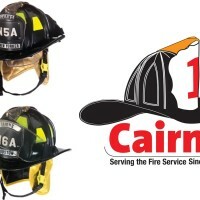 Cairns® Invader 664 Fire Helmet: For solid protection and comfort, the cost-efficient Invader 664 offers durability in the lightest structural fire helmet in the Cairns line. 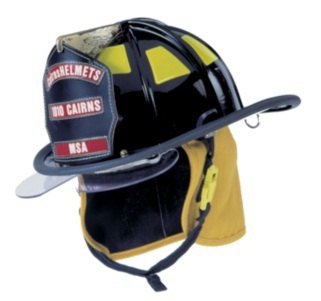 Cairns® 360 Structural Fire Helmet: One of the lightest structural helmets offered by Cairns. With its low profile, it is small enough for EMS and confined space. 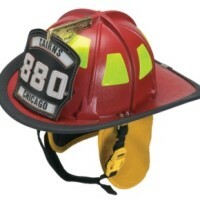 Cairns® 360R Fire Helmet: Our lowest-profile NFPA 1971 compliant helmet, the Cairns 360R offers excellent fire and impact protection. Cairns® Rescue 360R-13 Fire Helmet: The low profile design and light weight allow this helmet to shine in rescue and confined space usage. 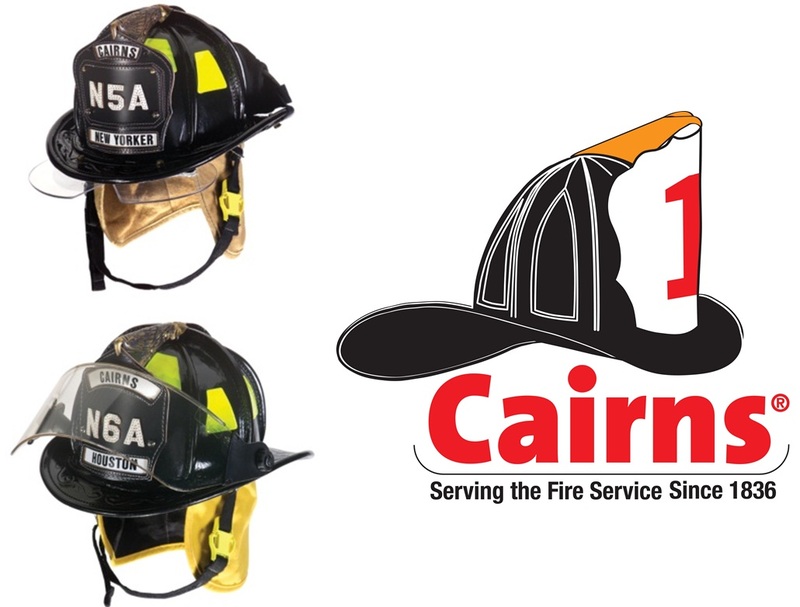 Cairns® Defender™ Helmet Visor System: Available on the 1010 and 1044 Traditional Helemts, and the 660C Metro and Invader 664 Fire Helmets!